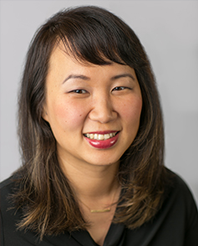 Constance Liu is a partner at Hanson Bridgett LLP in San Francisco, California. She advises high net worth clients in San Francisco and Silicon Valley on trusts, estates, and tax planning. Connie advises individuals with international connections, including US tax issues relating to investments in the United States, pre-immigration planning, and tax reporting requirements for foreign trusts. Connie often becomes the “family attorney” for her clients. She currently works with high net worth families from Beijing and Shanghai where a spouse or child resides in the United States. She assists these families with tax efficient strategies to transfer wealth to their US family members. She also works with Chinese clients on US tax planning considerations before they become a US green card holder. In collaboration with attorneys in the firm’s corporate and real estate groups, she provides legal guidance to Chinese investors in US real estate, private equity funds, and other investment opportunities. Constance received her undergraduate degree from University of Southern California and her J.D. from UCLA School of Law. She is certified as a legal specialist by the State Bar of California in Estate Planning, Trust and Probate Law. She is licensed to practice in California and Hawaii.